Welcome to day one of the A to Z Blogging Challenge! Photo taken by Christopher Bricoe of the Plaza in Ashland. This photo was offered free via The Ashland Chamber website. Ashland, Oregon is where I was born and raised (for the most part anyway). While we moved often, we never moved very far! I feel privileged to have grown up in Ashland. It was the type of town where as a tween and teen I could safely run all over town! It is at nearly 2000 foot elevation, just below Mount Ashland. This is the last town on I-5 before crossing over into California. Current population is just over 20,000. My favorite place in Ashland was Lithia Park! 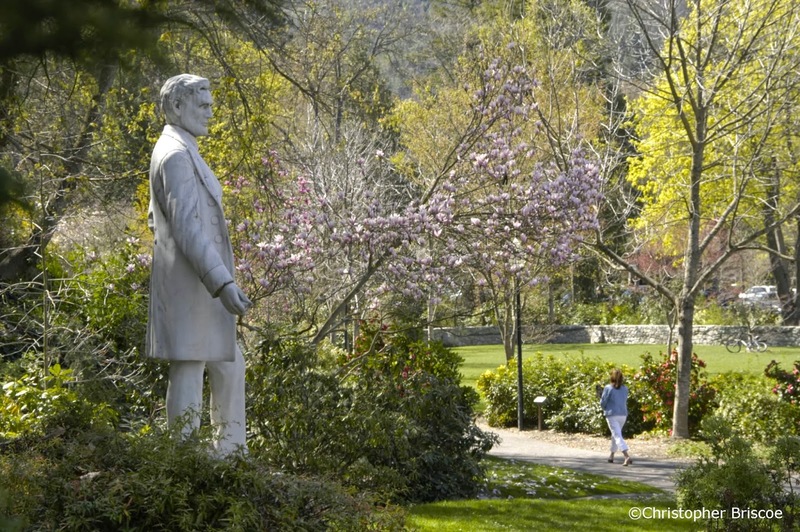 As a kid I enjoy the playground and feeding the ducks but as a teen I LOVED the music performed at the Chautauqua in Lithia Park! It was amazing to sit on the beautifully groomed sloped lawn to listen to local as well as national talent. Another favorite experience was the Oregon Shakespearean Theatre. The motto for Ashland was "Stay three days; see three plays!" Ashland had the outdoor theatre when I was growing up but I wasn't able to find out if it is still operating. However, the plays do continue in the indoor theatre. If you are ever in Southern Oregon it will be worth your while to stay a few days to explore. 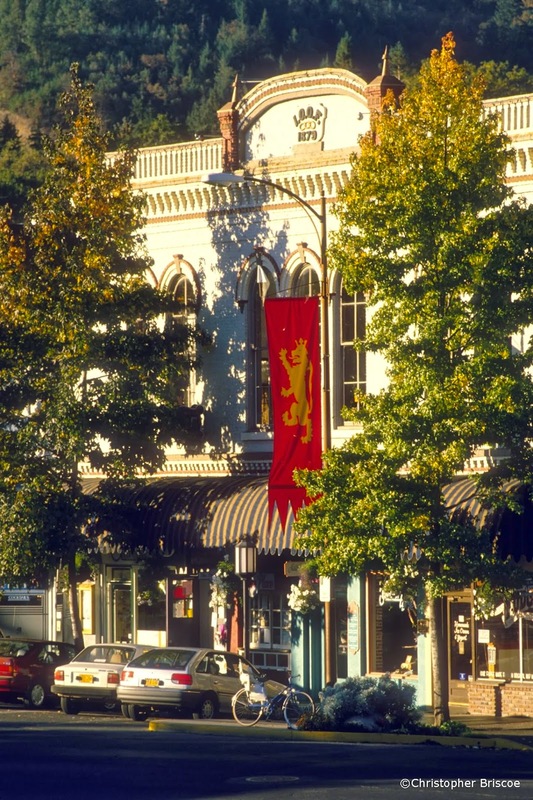 The shops and restaurants in downtown Ashland are unique and fun. I hope you enjoy learning a little bit more about me this month! It looks absolutely beautiful. I can't wait to see what else you have in store for the A-Z! It looks like a pleasant place. Here in the summers there's a company of actors who put on Shakespearean plays in parks on various dates, weather permitting. I've attended a few. It was an amazing place to grow up! Ottawa sounds like a fun place to live! Oh, went to Shakespeare Festival and loved it! Want to go again, in fact. I will have to read more, sounds as if you have a good start for A to Z! Thanks Cat! Yes, the Shakespearean Festival was the highlight of my high school years! That's a wonderful way to start the challenge! Ashland is a beautiful city. So far I have only passed through, but perhaps when we're retired (soon) we'll stay three days and see three plays! I hope you are able to visit Ashland sometime soon. I know you will love it! Thanks for stopping by! Hope to see your town this summer! I hope you are able to visit this summer, too! Thanks for stopping by Cary! I have lived in Oregon my whole life and there is still much I haven't seen! I hope you are able to visit Ashland sometime soon.